If you have any questions about the ISLANDER information page below please contact us. This sailing yacht ISLANDER is a superyacht of sizeable proportions. This 59 metre (192 ft) luxury yacht was manufactured by Australian Yacht Builders Pty in 1991. 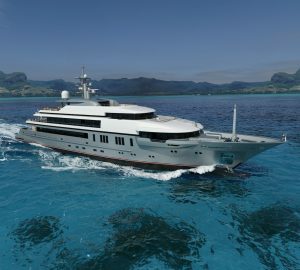 ISLANDER was formerly called the project or yacht name The Other Woman. She is a modern twin masted schooner motor sailer. Superyacht ISLANDER is a upscale yacht that can sleep up to 12 people on board and has a total of 11 qualified crew. The naval architecture office that made this yacht's design with respect to this ship was Laurent Giles and Boldcraft and Glade Johnson. Paola D Smith was also the interior designer who completed the overall interior design. The yacht's wider design collaboration came from Laurent Giles and Boldcraft and Glade Johnson. The professional naval architecture drawings are the creation of Laurent Giles. Sailing Yacht ISLANDER received her elegant interior designing from the interior design office of Paola D Smith. Australia is the country that Australian Yacht Builders Pty constructed their new build sailing yacht in. After the formal launch in 1991 in Brisbane the boat was handed over to the happy owner having completed sea trials. The core hull was built out of aluminium. The sailing yacht main superstructure is fabricated predominantly with aluminium. 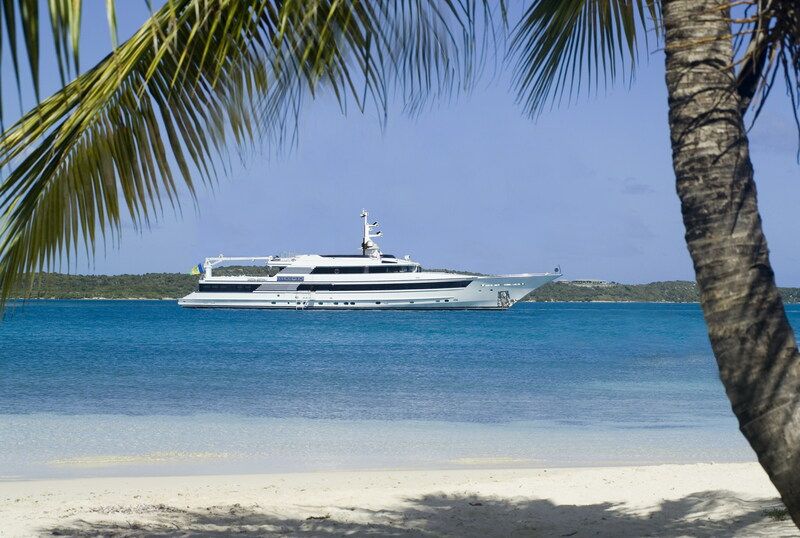 With a beam of 10.7 m / 35.1 feet ISLANDER has spacious size. A deep draught of 5.8m (19.03ft) limits the number of certain marinas she can enter into, contingent on their particular characteristics. She had refit maintenance and alteration work carried out in 2003. This boat engages twin ample MTU main engine(s) and can reach a impressive maximum limit continuous speed at 16 knots. The engine of the yacht generates 2330 horse power (or 1714 kilowatts). Her total HP is 4660 HP and her total Kilowatts are 3429. Coupled to the ISLANDER engines are twin water jets (kamewa). With respect to the ship’s stabalisers she utilises Naiad. Regarding bow thruster maneuverability she utilises Schottel. ISLANDER has a/an efficient cruise speed is 12 knots which offers a range of 4000. Providing room for a limit of 12 visiting passengers overnighting, the ISLANDER accommodates them comfortably. Normally the vessel uses approximately 11 expert crew to maintain and sail. Australian Yacht Builders Pty. Ltd.
58.52 metres / 192 feet. Giving the combined power of 4660 HP /3429 KW. 2 times 165 kilowatts, 1 times 105 kilowatts. ISLANDER features a teak deck. The luxury yacht ISLANDER displayed on this page is merely informational and she is not necessarily available for yacht charter or for sale, nor is she represented or marketed in anyway by CharterWorld. This web page and the superyacht information contained herein is not contractual. All yacht specifications and informations are displayed in good faith but CharterWorld does not warrant or assume any legal liability or responsibility for the current accuracy, completeness, validity, or usefulness of any superyacht information and/or images displayed. All boat information is subject to change without prior notice and may not be current.